Yellow is such a fun color to wear in the summer! This top is perfect for the summer because it's loose and breezy. 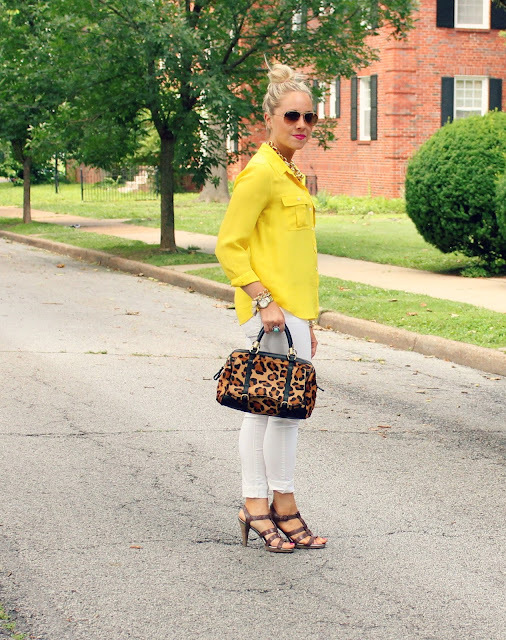 When I think of summer, I think yellow! Hello, warm sunny weather! Or should I say, hot and humid! So cute! Love yellow and white. And it looks great with the leopard bag! 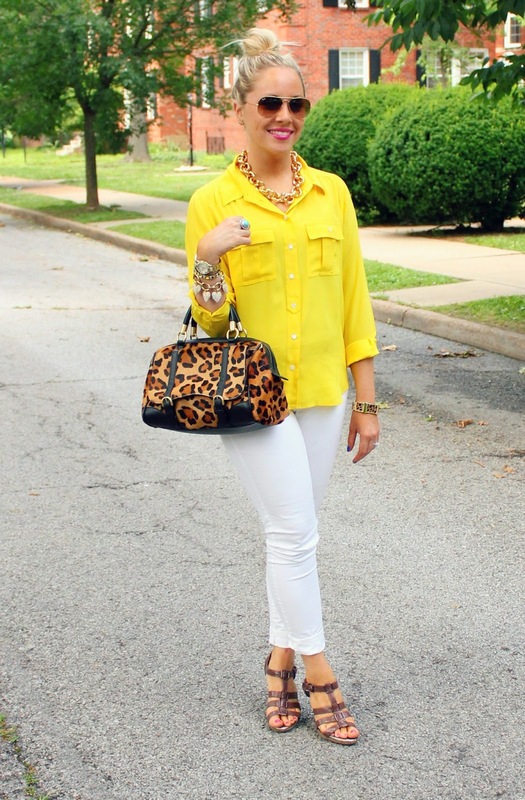 I have a serious weakness for white pants right now! They are so perfect for summer! White pants are so fun! I had to buy another pair because of course, I ruined them! Somehow I sat on something and they were stained forever! Love them in the summer! 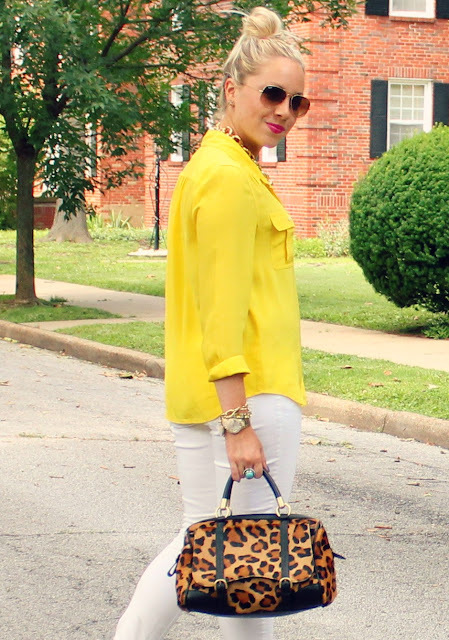 You've convinced me - I'm pairing yellow with leopard! You are gorgeous! Thank you Lauren! Love your blog! It is so adorable! 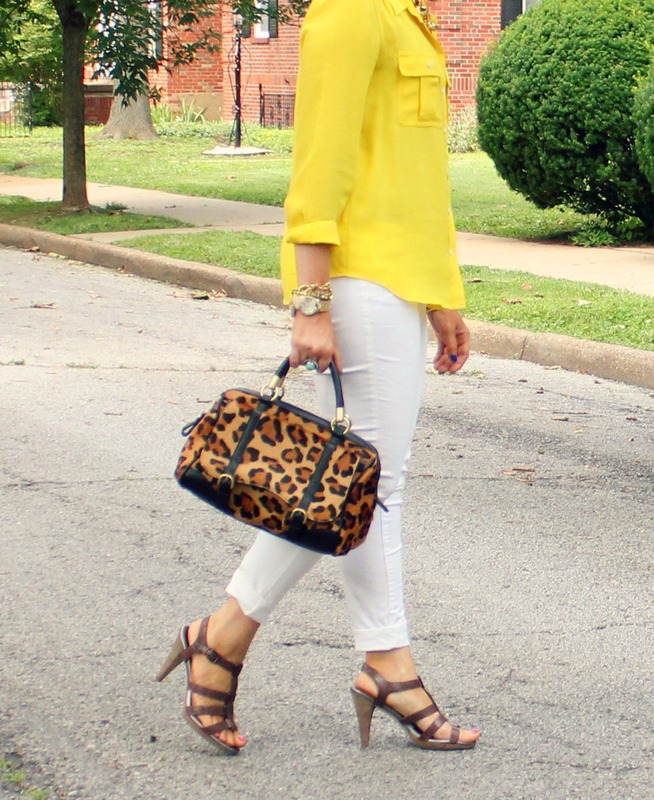 Yellow and white work so well together for a summer look and I love the addition of the leopard bag. These colors scream summer to me! 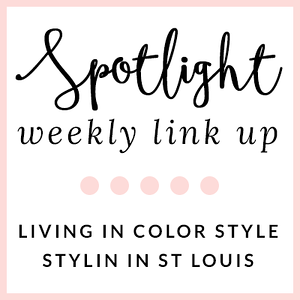 So fun and bright! 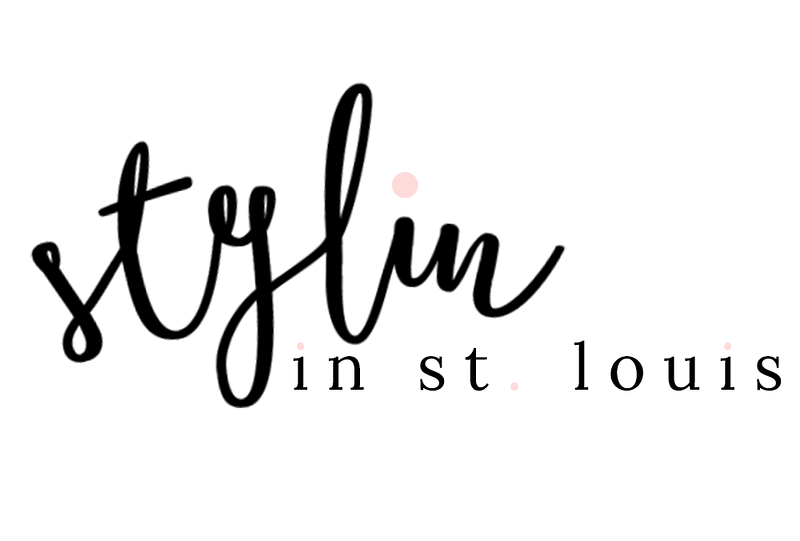 Thank you for checking out my blog! I really appreciate it!